Concentrated blood platelets are isolated during the PRP procedure to facilitate a PRP knee injection, which activates growth factors and stem cells in your damaged tissue. Powerful healing forces are triggered which help repair damaged tissue in the knee. PRP therapy for knee has many benefits over conventional surgical methods - methods which often lead to recurring doctor visits and recurrence of injury. Suffering from knee OA and tired of dealing with pain? PRP knee injections can significantly reduce osteoarthritis symptoms without surgery. Osteoarthritis, soft tissue injuries, and muscular damage are all common knee problems that can be helped using non-surgical platelet-rich plasma therapy. Recent advancements in PRP therapy have led to procedures specifically designed to target the knees. See how PRP therapy knee treatments can restore your mobility. If you suffer from muscular injuries that just won’t heal, osteoarthritis in the knee, or any other muscle or tendon issue, then PRP knee injection therapy can help. PRP injections for the knee work by stimulating healing in tendons, ligaments, muscles and joints by isolating and activating growth factors naturally found in your blood. Delivery of these factors in high concentration naturally stimulates reparative processes of your body, enhancing functionality of your knee and reducing pain associated with injury. Several treatments for osteoarthritis exist, including exercise, weight control, bracing, nonsteroidal anti-inflammatories, Tylenol, cortisone shots and viscosupplementation, a procedure that involves injecting a gel-like substance into the knee to supplement the natural lubricant in the joint. 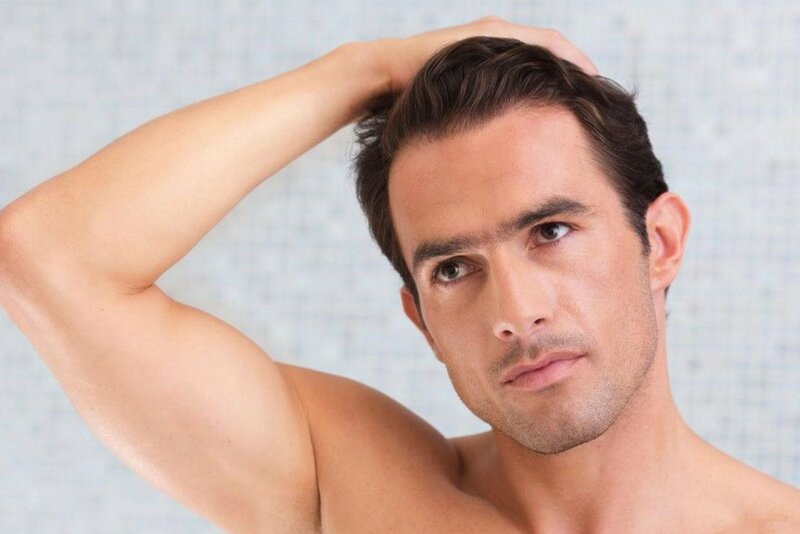 A new treatment that is being studied by a small number of doctors is PRP injections. Platelet-Rich Plasma (PRP) therapy involves the injection of a high concentration of plasma which contains growth factors – produced from your own blood. The concentrated formula enhances the healing ability of the human body. Plasma injections for knee pain are fast gaining traction in medical circles as an effective, non-surgical treatment for muscular injuries in the knee. 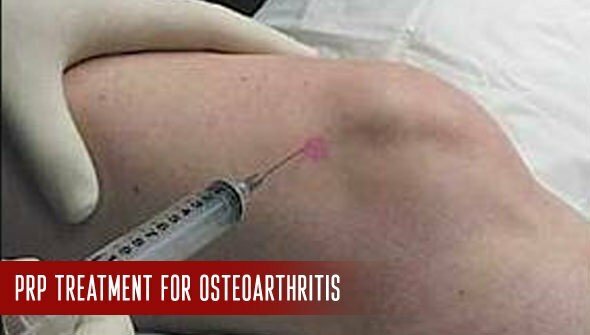 In fact, a study by researchers from Hospital for Special Surgery has shown that PRP injections for knee pain hold great promise for treating knee osteoarthritis. Results of the study, published in the Clinical Journal of Sports Medicine, concluded that prp knee treatment improved pain and function, and appeared to delay the progression of osteoarthritis in up to 73% of patients in the trial. What are the benefits of the prp knee injection treatment? Relief of muscular and joint pain. Decreased scar formation where surgery is used. Knee pain is typically caused when the cartilage and buffering agents in the knee joint wear away with age. You could also develop knee issues after suffering an injury or if you’re an active sportsperson. Plasma injections in the knee can help you regenerate the cartilage and lubricating agents. The PRP serum contains a concentration of mesenchymal stem cells, cytokines, platelets, growth factors and other healing elements that can repair the torn cartilage. Patients have talked about how they experienced relief from the pain intensity, swelling, and difficulty in movement in the weeks following the treatment. In addition to knee pain caused by arthritis, platelet rich plasma knee therapy can help repair injured ligaments, tendons, and muscles. In recent times, doctors have found that by combining Hyaluronic Acid (HA) with platelet rich plasma knee therapy, they can provide a multi-dimensional healing effect. While PRP works exceedingly well to repair cartilage and the synovial fluids in the knee joint, HA takes the healing a step further. Like the Mayo Clinic explains, your body produces HA naturally and doctors insert it into the joint by way of a therapy called HA viscosupplementation. The compound has a gel-like consistency and works to lubricate the joints so that the ends of the bones are prevented from rubbing against each other and causing discomfort. 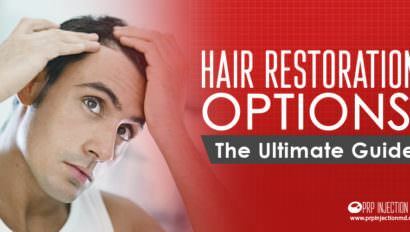 Are you wondering if this treatment modality is effective? 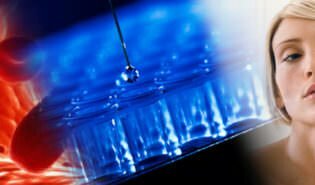 The National Center for Biotechnical Information reports that patients who took a combination of HA and PRP showed better improvement. The results were much more promising as against the individual treatments that patients took. In fact, by getting the new modality, patients were able to delay the need for knee replacement surgery. 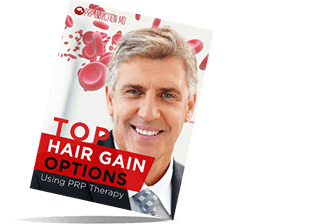 Coolief vs PRP Treatments – What Should You Choose? Given the rising cases of arthritis, doctors have been working on developing new procedures that can help patients with the pain and difficulty in movement. One such new development is the Coolief procedure. As NBC News reports, the procedure, also called the Cooled Radio Frequency Ablation, is a system that works to numb the nerves that cause pain in the joint. Using a probe and digital imaging devices, doctors target the nerve endings. As an improvement on earlier Radio Frequency modalities, this method passes water through the tip of the probe to cool it. This features allows doctors to cover a larger area in shorter time. However, patients may want to choose this knee pain treatment cautiously. That’s because, similar to corticosteroid injections, in the absence of pain, they are likely to use the joint as before. As a result, patients may incur long-term damage with the joint further wearing away. In addition, as the Spine-Health warns, when the nerve endings regenerate, the pain is likely to return. PRP knee injection, on the other hand, work to heal the causes of joint pain for highly effective results. For this reason, given a choice between Coolief and PRP therapy, you might want to opt for the latter.